If you've mastered the basics of embroidery and are now ready for something more challenging, look no further than these amazing embroidery patterns for advanced stitchers. Some use simple stitches in an intricate way, while others will bring out your inner artist through thread painting. Whether you're stitching flowers, animals or more abstract designs, plan to devote many hours to these projects. Of course, the result will be well worth it. And if you're not quite ready to tackle a project of this size yet, use these patterns as an inspiration to work towards as you improve your embroidery skills! This charming rooster pattern is filled with beautiful stitching, giving it the appearance of a difficult pattern. However, the stitches themselves are suitable for anyone with just a moderate amount of embroidery experience. Consider this a good way to move from beginner to a more advanced stitcher. Designer Chloe Redfern has many more patterns that are equally impressive, and you're sure to find a design to jump into! 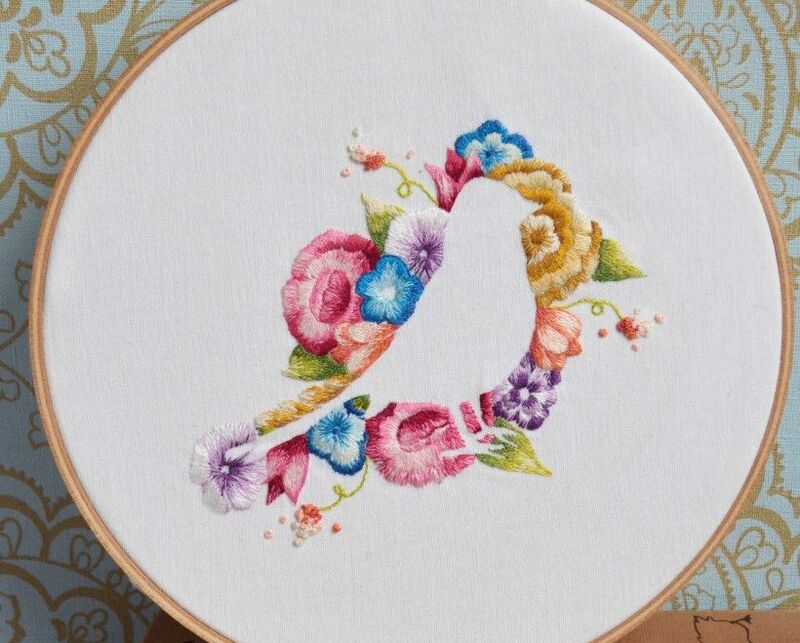 Thread painting is a more advanced form of embroidery, and the name aptly describes it. Trish Burr is known for her thread painting and offers many patterns and videos designed to get you started. Her Autumn Pansy Basket pattern is a stunner, but you'll also love her free and $1.00 patterns. Embroidery artist Jennifer Riggs created this free tiger face hand embroidery pattern for DMC. The colors are gorgeous, but you'll be amazed by the embroidery itself. Worked almost entirely with satin stitch, it's not for the faint of heart. But the level of detail you'll achieve is worth the effort. Plus, who doesn't want to show off their fierce embroidery skills with an animal that's just as amazing? If you've mastered the basics of embroidery, you'll be able to stitch up this beautiful Advanced Embroidery Pillow Kit from Sublime Stitching. The pillow cover comes pre-printed with the pattern, which uses a variety of stitches. It also comes with matte cotton tapestry threads, thicker than standard floss for a different stitching experience. This stained glass embroidery pattern is jaw-droppingly gorgeous. In fact, you might start to wonder why anyone would learn stained glass work when they could just stitch something this beautiful. Of course, with a pattern this detailed, it will take some time, patience and advanced satin stitching skills. The downloadable pattern includes a full stitch and color guide so you can create your own masterpiece. Mary Corbett from Needle 'n' Thread designed this amazing kaleidoscope embroidery to work with DMC's Coloris embroidery floss, and she shows you how to combine thread colors so you can do the same in your own color palette. Even though it's worked in basic stitches, the techniques for achieving the overlapping lines and crisp corners are more advanced and require great attention to detail. Nicole from Follow the White Bunny designs some of the cutest patterns you'll find, and you'll love her more detailed designs that are a lot like thread painting. This Flower and Bird iron-on pattern is just one example. If you are looking to grow your stitch shading skills, she offers a 64-page PDF guide book to take your embroidery to a new level. Turn your embroidery into a huggable creature with this adorable kit from Kiriki Press. This Beaver Softie is one of the most advanced kits that they offer. It features shaded satin stitching, tons of french knots and a woven pattern that gives this furry friend his lumberjack charm. After you've finished the embroidery, sew him into a little toy that's perfect for gifting to kids!